The Ergohuman Plus takes our top selling ergonomic chair to new levels, with more aluminium detailing, a seat tilt function and an organically formed base, the Ergohuman Plus is the ideal high-end executive office chair. Encompassing all the qualities of the standard Ergohuman with the added benefit of a redesigned mechanism featuring a seat tilt function and encased in polished aluminium, the Ergohuman Plus makes an unrivaled statement in subtle beauty, body contoured ergonomics and vibrant colour toning. An engineered design that reflects form and functionality – the art of our technology redefines today’s health-conscious work environment with more posture control and more support, personally configured. Using the ingeniously simple single lever control to operate the three most frequently used chair functions – seat height, seat depth and back tilt can all be operated from a single point of contact. A user instruction CD is also tucked neatly below the seat. The Ergohuman Plus is 98% recyclable, has Greenguard Indoor Air Quality certification and meets EN 1335-2:2009 and EN 1335-3:2009. Available in a choice mesh or leather. 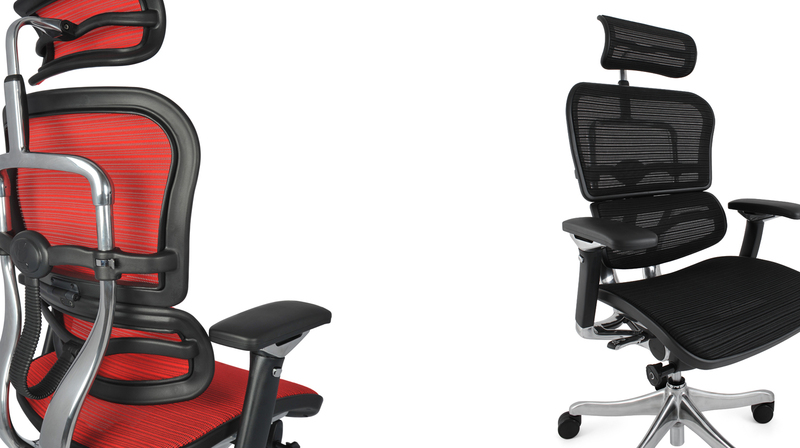 The cutting edge design of the Ergohuman Plus will enrich every minute of commercial life.